Уникальная возможность заглядывать через забор! /mountspecial или прыжок на месте! 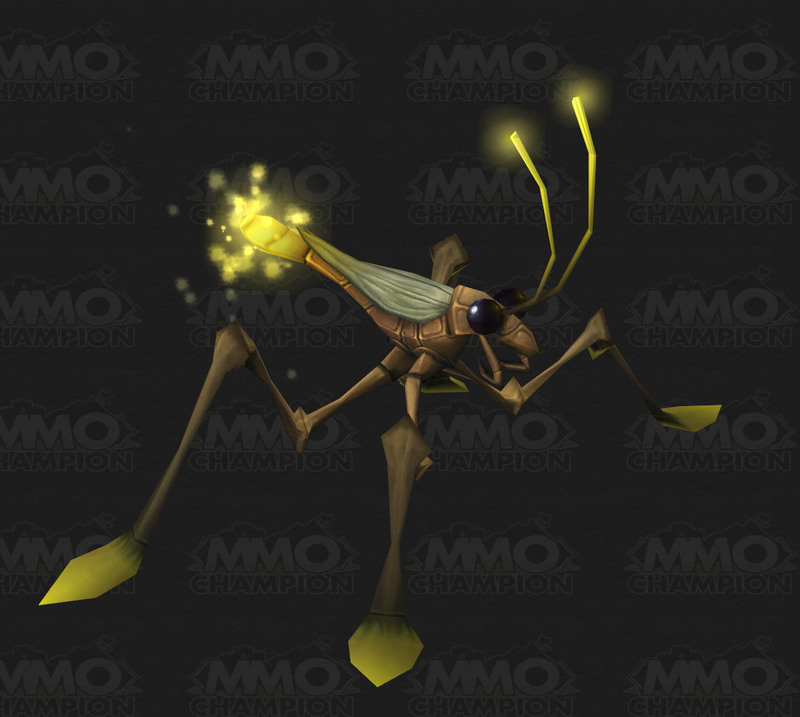 "Water Striders were changed to only work in Pandaria or Draenor". В Легионе этот маунт сломают, и он потеряет всю пользу для твинков меньше 60 уровня, которые не умеют летать. Думайте, надо ли его теперь фармить или нет. Отбой, после многочисленных негативных отзывов Близзард одумались и сказали, что долгоноги будут доступны во всех аддонах перед "Легионом". В видео КАК БЕГАТЬ ПО ВОДЕ ты увидишь получение замечательного транспорта, а в описании краткую инструкцию для быстрого его приобритения. Этот транспорт тебе очень сильно поможет в Битве за Азерот на Кул-Тирасе и Зандалар. Так как там очень много воды, а летать ты не сможешь еще долго. Наводный и наземный транспорт передвижения в World of Warcraft. Его можно купить у Нэта Пегла имея репутацию "превознесение" у рыболовов. А вот получение репутации займет у тебя от одной до четырех недель (по часу в день, примерно). Для начала тебе необходимо включить режим PVP в талантах (даст 10% к репе). Еще поставить "звездочку" в окне репутации персонажа на против фракции (еще дополнительный % к росту). Вступить в гильдию (так же бонус к более быстрому превознесению). Ну, и когда будет почтение, купить у Нэта Пегла "Особый знак признания рыболовов", который ускорит получение репутации у Рыболовов на 100%. Это все дает бонусы к быстрому росту. 3 дейлика, которые дают рыболовы в Красарангских джунглях в деревне рыболовов (в основном они по этой же территории). Mount that walks on water? Great for my trips to the magical Fatigue-land! I'm curious to see how this mount will work. I assume that when you get hit, it will lose the water walking effect like shaman and Deathknight's waterwalking abilities but maybe not. if only fishing from the saddle where possible this mount would be ideal! 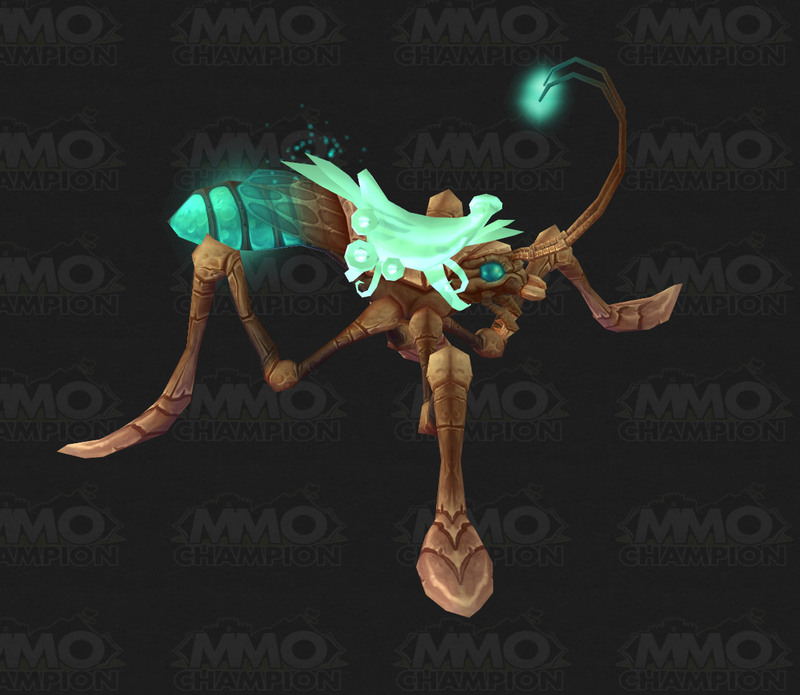 Azure Water Strider: Summons and dismisses a rideable Azure Water Strider. This mount walks on water in non-battleground areas. Thats sad, could be nice to have water walk in bg! All heil the Jesus mount ! This mount has a nasty habit of inerutting casts after you've dismounted. Does, NOT count towards Mountain O' Mounts. I figured this would be my 100th and i held off on buying a ya, only to realize this will not count. Oddly enough, I noticed that this is basically more or less a reskinned model of Скипетр Аз'акира :-). I've also noticed that some mobs in Pandaria, noteably the Mogu and the Saurok, are reskinned models of Draenei and Worgen :-). To go under water, you need to hold both mouse buttons and angle yourself down. I had an issue with not water walking when I broke surface, only to discover that if you hold the buttons down and angle up, he just skitters on top again. 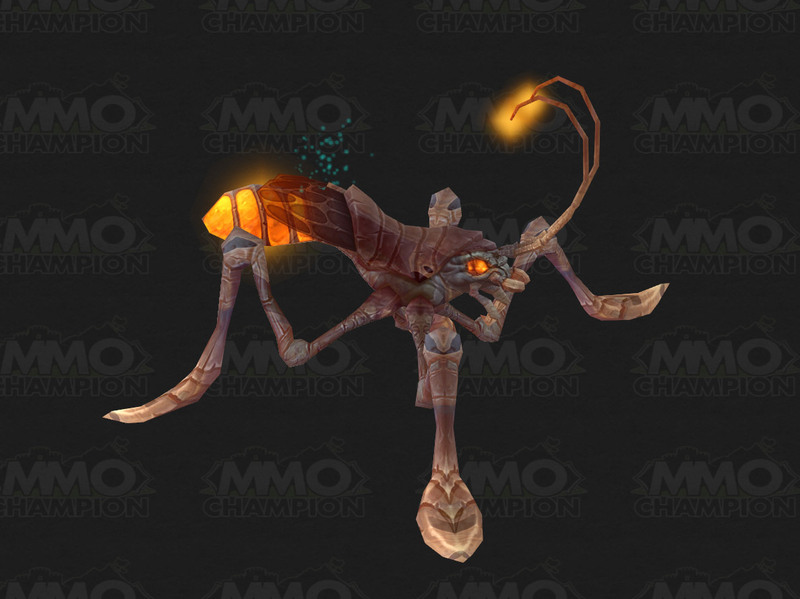 As of 5.3 this mount now loses its water-walking capabilities as soon as you take any source of enemy damage or environmental damage (like campfires) but not from fall damage and in order to gain it back you will need to remount. This mount is my first experience with water walking. It does not walk on water in zones which are a higher level than the ride. (or there is some other restriction for the coast along Blasted Lands). Specifically I used it for a L52 alt to ride along the coast from Booty Bay to Swamp of Sorrows where I had 2 quests. As I went past Blasted Lands (L55) , water walking was lost for this mount. It was difficult not getting killed, but I made it thru. Water Walking then worked again when I got to Swamp of Sorrows. This mount has the coolest 'special ability' in the game (press space/jump). Sound files were added for its /mountspecial animation in Patch 5.4, making it even more adorable. Having issues with this things water walking ability lately, doesn't work at all in outlands, anyone else experiencing that? edit: course soon as I comment on it it starts working again wth. In Legion, the waterwalking effect will only works in Pandaria. This is likely to make the Fishing Artifact appealing as it has a waterwalking perk. 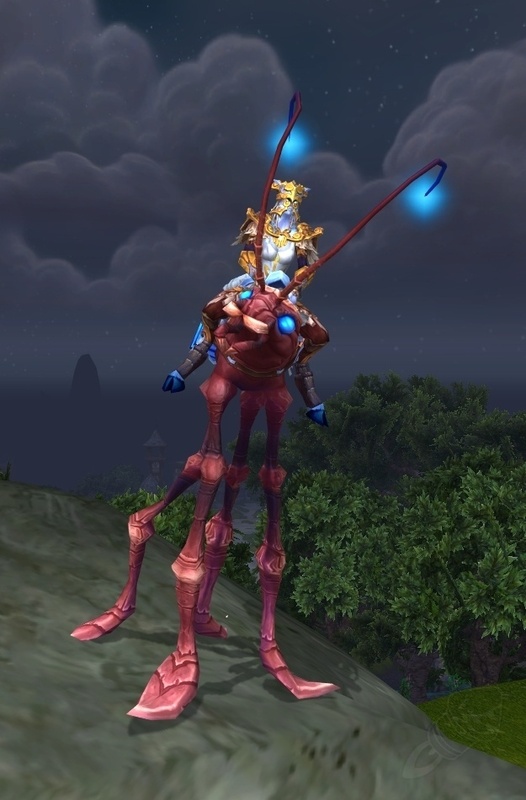 As of the latest alpha build, come Legion this mount will only allow water walking in pre-Legion zones (this mount will not have water walking in the Broken Isles). Previously Blizzard had changed this mount (in the alpha) to grant water walking in Pandaria only, but reverted that due to feedback they received. This will make the levelling process smoother, for alts, who can use water strider mounts until Warlords of Draenor zones. On the Broken Isles, you can use your favourite mount while still having water walking from the fishing artifact, or from . Previously Blizzard had changed this mount (in the alpha) to grant water walking in Pandaria only, but reverted that due to feedback they received. This will make the levelling process smoother for alts, who can use water strider mounts until Warlords of Draenor zones. This was again updated! Now both Лазурный водный долгоног and Багровый водный долгоног will work in ALL zones, Legion and pre-Legion. On the Broken Isles, you can still use your favourite mount while still having water walking from the fishing artifact, or from . This mount seems to be somewhat broken in the latest patch. If you're already in water when you summon it, the water walking ability doesn't work, and the old trick of jumping above the surface doesn't work any more. Basically makes the mount a lot less useful than it used to be. Might not be the best looking mount, but its definetly one of the more useful ones. From neutral to revered it takes 18000 rep = 60 Знак признания рыболовов @ 50 badges each = 3k badges. Total time walking badges spent: 4,750. The commendations are account-wide, so you can gather up the badges on alts (just do 1 dungeon to the quest to get 500 badges per event) and send it across to your main (So you can essentially do it in one day/sitting if you have 11 characters - note Pandaria time walking is lv 90, whereas other time walking events are lower based ont he expansion). If Pandaria isn't active, its still best to do the time walking dungeon once per character you have to get 500 badges, as you can get plenty of hard to achieve rep commendations with them. I have put in suggestion after suggestion in game, since Pandaria when I first got this mount. Apparently it has fallen on deaf ears. IF each and every person who reads this would also put in a suggestion then maybe they'd get it done. For whatever reason this is the ONLY mount I have, that when hit, does NOT dismount me so I can enter the fight. I have to first dismount manually in order to fight the mobs. Why is it so hard for Blizzard programmers to add that into the subroutine. They've got lose water walking, it should be a simple matter to include dismount. Copy and paste from ANY of the other mounts actions. I want to thank the person who posted to be sure your track trivial quests is checked. I looked off & on for ages to get the rep with Anglers, and never thought to turn trivial quest tracking on. Got my mount almost immediately once that was on! Thank you! Позволяет призывать и отпускать лазурного водного долгонога. В зонах, не являющихся полями боя, это верховое животное может ходить по воде до первого получения урона. "Как правило, из них выходит хорошая наживка, но ты только посмотри в его милые глазки... Как о таком можно даже подумать?!" – Нат Пэгл. Скорость передвижения по земле повышена на <ground speed>%. (When flying is available) Скорость полета повышена на <flying speed>%. (When swimming) Скорость плавания повышена на <swimming speed>%. Возможность ходить по воде (кроме полей боя).